This is the original interview published on October 31, 2013 by Medical Travel Today.com. Medical Travel Today (MTT): Tell us your position in the medical tourism industry, as well as your thoughts on integrating medical tourism into workers’ compensation cases in the U.S.
Richard Krasner (RK): Currently, I am a blogger, blogging about the implementation of medical tourism into workers’ compensation. I first began looking into integrating medical tourism into workers’ compensation when I needed a topic for a paper in my Health Law class as part of my M.H.A. degree program in March of 2011. A lawyer who was working for a medical tourism facilitator company at that time, and who had written an article in a law journal about medical tourism, gave me the idea after my first topic did not pan out. She thought that the legal barriers to implementing international medical providers into workers’ compensation through medical provider networks was a good idea, and since I had a small interest in the subject of medical tourism, I submitted that as my topic to the instructor. He gave me his approval and, as I started to do my research, I found many articles on medical tourism and nothing on medical tourism and workers’ compensation, so I knew my task was a difficult one. But as the point of the paper was to write about a legal issue and persuade people one way or the other, I felt that I could mention the lack of literature on the subject and perhaps open up dialogue in that area. I then found a roundtable discussion from the January/February 2008 issue of the journal Telemedicine and e-health. In the discussion, I found something that I had been looking for, but had not expected in a medical journal: a validation from four of the participants for my idea to implement medical tourism into workers’ compensation. I made their discussion the centerpiece of my paper, and thus my argument in favor of implementation. They said essentially that they thought that medical tourism could work for non-emergent, i.e., non-emergencies or long-range issues, such as knee or hip replacement, chronic back injury and repetitive action injuries, and that it would not be a leading offering. That is when the light bulb went on, and I realized that it could be accomplished as an option for the injured worker to consider. Initially, my research consisted of finding articles that discussed medical tourism in destinations, such as India, Singapore and Thailand, and my thought then was that it might be a stretch to send injured workers that far away, but that maybe it could be done. Later on, as I got more involved in medical tourism through my attendance at the 5th World Medical Tourism and Global Healthcare Congress in October 2012, and through conversations online with another lawyer, I realized that the best chance for this to happen was in Latin America and the Caribbean, and that given the rise of the Latino population in the U.S., sending patients home to their home countries for treatment would present no language or cultural barriers, and would allow friends and family in those countries to visit them during recovery, which will improve their self-esteem and improve their recovery time. I have since come to believe that all injured workers could be offered this as an option, not just those of Latin or Caribbean origin. MTT: How will the integration benefit individuals, health insurance companies, and the entire medical community, both domestically and internationally? RK: I believe first and foremost that medical tourism will have its most important benefit on the individual because of some of the things I mentioned above, namely little or no cultural or language barriers to overcome between Spanish or English in most cases, or between Portuguese or other languages in the region. Also, as I said, their friends and families back home can visit, which would make their recovery more relaxing, more pleasant and would show them that the patient is not sitting at home just collecting a check. It would also give the patient greater self-esteem and speed recovery. Finally, by being treated in the better hospitals in the home country, a patient’s friends and family will see that their loved one is being cared for by the best doctors and at the best facility in their country. I think the benefit for the health insurance company or, in this case, the workers’ compensation carrier would be that they will not have to pay for expensive procedures, such as hip or knee repair/replacement, shoulder surgery, spinal fusion surgery or carpal tunnel surgery. This is despite the fact that many states have fee schedules for workers’ compensation, which tells providers how much to charge the carrier for each procedure, and which may be less than the normal fees charged. Nonetheless, as the recent New York Times article indicates, the U.S. has the highest cost for healthcare, and it is not slowing down, nor has the average medical cost for lost-time workers’ compensation claims, as I have written about in my white paper and my blog. I think for the entire medical community domestically and internationally, it will have several benefits, the first of which will be the realization that healthcare is globalizing and that it is no longer possible to consider that quality medical care is available only in the developed world. Second, it will lead to the development of international accreditation standards, quality standards and other standards that up to now have hampered medical tourism’s expansion and growth. These standards will take time to be adopted and will be expensive to implement for the medical tourism facilities involved, as it has already been for the implementation of other standards and forms of accreditation, such as from the Joint Commission International. Thirdly, it will have the benefit of bringing American patients to medical providers in other countries, those who otherwise would never be seen by foreign doctors except for those who have gone to foreign-born doctors practicing here in the U.S., whether in private practice or in a hospital setting. Fourth, and this is more of an issue with workers’ compensation cases, doctors abroad will be able to get broad experience treating work-related injuries that they have never seen, thus adding to their medical experience, and providing their fellow citizens with that experience should they ever require it. Medical tourism will open up global healthcare to all inhabitants of this planet, not just those looking for cosmetic surgery, or procedures that are too expensive or unavailable in their home countries. It will certainly open it up to those who otherwise could not afford to travel out of their country for treatment. MTT: What would you say are the steps necessary to take in order for medical tourism to be integrated into workers’ compensation effectively? RK: First, there has to be a removal of all or many of the legal barriers that I mentioned in my white paper, as well as many others that I could not or did not mention. Also, there has to be some understanding on how the legal issues surrounding medical tourism can be solved such as malpractice, legal liability, privacy issues, medical records transfers, etc. There are financial steps that need to be addressed, such as which currency the payments will be made in, any incentives to injured workers, referring physicians, treating physicians, destination hospitals, as well as travel insurance coverage for things not covered under workers’ compensation. And lastly there has to be a willingness on the part of employers and insurance companies, third party administrators, and lawyers to accept medical tourism as part of workers’ compensation. I have discussed this with several people recently through emails, and in the past six months since beginning my blog, and have written about this as well. As the Chinese say, a journey of a thousand miles begins with the first step. An industry like the workers’ compensation industry in the U.S., which is concerned with issues, such as pain medication abuse, physician dispensing of drugs and dealing with cost-curbing strategies that have failed, must come to the realization that the journey for them must begin now — before costs skyrocket any further. MTT: What can you see being potential deterrents in integrating medical travel benefits into workers compensation? RK: First of all, let me say that I don’t have all the answers, and I cannot foresee all contingencies and problems associated with traveling abroad for care. But I do want to make this clear so that your readers will not think that I don’t know what I am talking about, or that they will think that integrating medical tourism into workers’ compensation will be easy and not fraught with difficulties and complications. It will not be easy, there are and will be complications from flying after undergoing surgery abroad, just as there are if the patient was treated at the local hospital. I am not a medical person, so my knowledge of how patients will tolerate air travel after surgery or what complications will arise is beyond my experience. But I can say this: I don’t see a difference between a patient who traveled abroad for medical care as a private patient for cosmetic, body improvement or other forms of surgery usually associated with medical tourism and a patient who is traveling abroad for surgery as a result of an on-the-job injury. Yes, there are differences in the process of treatment and aftercare and recovery, but if the private patient can develop complications, so too can the workers’ compensation patient. To answer the question then, I think deterrents include a lack of will, fear of lawsuits in countries with laws that do not favor the insurance company or the employer, malpractice insurance and legal liability that does not meet American standards, employee choice to stay at home, and pressure from special interest groups like doctors, hospitals, pain clinics, rehab facilities, trial lawyers, etc. MTT: During a time of rapid healthcare reform, why do you think medical tourism hasn’t been connected to workers compensation already? RK: Because there is so much uncertainty over the impact the Affordable Care Act will have, not only on healthcare, but also on workers’ compensation. In my research on that subject, I found that there will be little immediate impact, but down the line there will be, especially as more people get health insurance, and also because of the doctor and nurse shortage, which will affect both healthcare and workers’ compensation. There are critics of the law who say it will raise costs, and then there are those who say it will lower costs, as some have already pointed out recently. But only time will tell who is right and who is wrong. Finally, I don’t think many in the workers’ compensation industry have ever considered looking abroad, except to plan their next vacation. MTT: Is there anything else you would like to add at this point that you think is significant in terms of medical tourism, workers’ compensations and/or the integration of the two? RK: Yes, as I said in my blog post, The Faith of My Conviction, what is needed is the will to do it, the courage to make it happen, the hard work to get it there, and the determination to bring the two industries together. I have had experts tell me that it won’t happen, but I pointed out right away in my post the discussion I found between the four medical professionals, and I believe that as medical professionals they have a better understanding of the issues involved than I do as a layman. I trust their judgment of the issue and defer to them for my belief that it can be done. So who is right and who is wrong? 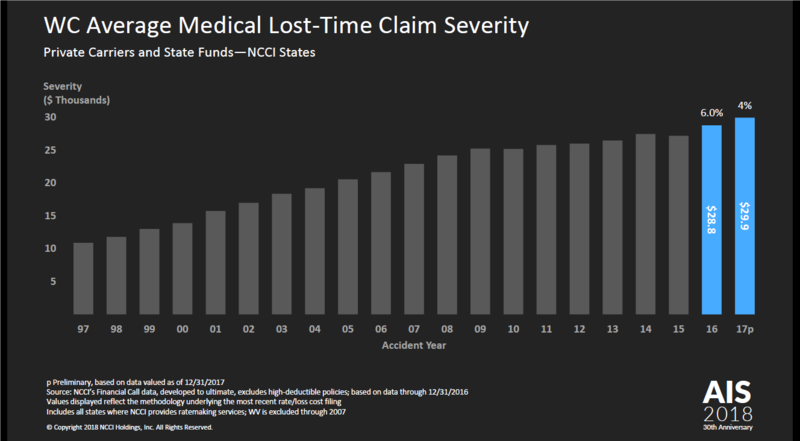 I don’t know the answer to that, but I do know this: for 20 years, the average medical cost for lost-time claims has gone from around $8,100 to almost $30,000 with no decrease in cost, but with a slowdown in the rate of increase. Is that progress? Is that a sign that all other avenues tried have not succeeded? Perhaps it will take higher costs to wake people up to the reality that medical care, like all other goods and services, always goes to those places where the goods or services can be produced at cheaper cost with better quality. This entry was posted in ACA, Affordable Care Act, Caribbean, Conferences, Costa Rica, Cross-border Health Care, Cultural Barriers, Employees, Employers, Global Health Care Services, Globalization, Health Care, Health Care Costs, Health Care Reform, Hispanics, Insurance, Integration, Latin America, Latino, Legal Barriers, Legal Issues, Medical Tourism, Medical Travel, Mexico, Quality, Surgery, Workers' Comp, Workers' Compensation and tagged ACA, Affordable Care Act, Caribbean, Costa Rica, Cross-Border Health Care, Employees, Employers, Globalization, Health Care Costs, Hospital Costs, Integration, Latin America, Legal Barriers, Legal Issues, Medical Costs, Medical Tourism, Mexico, Quality, Workers' Comp, Workers' Compensation on November 5, 2015 by Transforming Workers' Comp. Trabajadores latinos e inmigrantes frente a los riesgos mortales desproporcionados en la construcción, según un informe publicado ayer por el Comité de Nueva York para la Seguridad y Salud Ocupacional (NYCOSH), e informaron hoy en Immigrants.com Trabajo. El informe, “El Precio de la Vida: 2015 Informe sobre la construcción muertes en Nueva York”, dijo que los latinos constituyen el 25% de los trabajadores de la construcción del estado de NY, pero representa el 38% de las víctimas mortales de la construcción en Nueva York en 2012. A nivel nacional, las muertes de construcción latinos aumentaron de 182 en 2010 a 233 en 2013, según el informe. • Un estudio de los registros médicos de 7.000 estadounidenses trabajadores de la construcción Latino encontró que eran 30% más propensos que los blancos no latinos trabajadores que se lesionan en el trabajo. Varios estudios han demostrado que la falta de formación es una de las razones por las tasas de lesiones más elevadas de trabajadores de la construcción hispanos. • Además, muchos trabajadores de la construcción de Nueva York son los no ciudadanos, de acuerdo con la Encuesta de la Comunidad Americana del Censo de Estados Unidos, incluyendo 40% de los 124.240 trabajadores de la construcción de Nueva York, el 36% de los 7.710 instaladores de paneles de yeso, 28% de los 10.405 techadores y el 25% de los 88.475 carpinteros. Ellos, también, tienen menos probabilidades de recibir formación en seguridad. • Las personas de los trabajadores de color y de la construcción inmigrantes tienen más probabilidades de trabajar fuera de los libros, para ser clasificado erróneamente como contratistas independientes, para trabajar como jornaleros, o tener conocimientos limitados de Inglés que no suele incluir términos técnicos, y por lo tanto es menos probable que recibir capacitación en seguridad. • El 80% de los trabajadores inmigrantes en la construcción son latinos. Un Centro para la Democracia Popular informe hallazgo mostró que el 60% de la caída de la construcción de Nueva York muertes OSHA investigó 2003-2011 eran latinos y o inmigrante. Además, los contratistas no sindicalizados tienen menos probabilidades de proporcionar condiciones de trabajo seguras, entrenamiento OSHA y equipos de seguridad. • Los trabajadores indocumentados son menos propensos a negarse a trabajar en condiciones peligrosas o de hablar a favor de mejores condiciones de salud y seguridad por temor a ser despedidos o deportados. En profundidad es la información sobre todos los casos difíciles de conseguir, ya que muchas muertes se anuncian antes de los nombres de ser liberado, y no hay seguimiento de los informes de los medios de comunicación. Esta no es la primera vez que hablé de la difícil situación de los trabajadores latinos en ciertas industrias de alto riesgo, que incluyen la construcción. Mi post, una alternativa a cirugías de alto costo para los reclamos de compensación laboral en virtud de los programas de recapitulación, discute este tema con más detalle, y señala al lector a los artículos anteriores he escrito, y para artículos de Joe Paduda y Peter Rousmaniere, que escribió hoy pieza. La gente sigue preguntándome donde la propuesta de valor es para el empleador y el empleado en tener la cirugía realizada en un país distinto de los EE.UU., y especialmente en el país de origen del trabajador lesionado, por lo que no existen barreras idiomáticas o culturales. Bueno, esa es una propuesta de valor, ya que al ser capaz de entender el proceso de reclamaciones y el procedimiento quirúrgico en el lenguaje de la propia proporciona la confianza de que el paciente está recibiendo la mejor atención médica posible. No siempre tiene que ser un valor en dinero de por qué la cirugía en el extranjero es mejor que recibir en un hospital de Estados Unidos donde la lengua y la cultura son impedimentos. La segunda propuesta de valor de tener el paciente ir al extranjero, especialmente a un trabajador latino, es que los amigos y familiares que siguen en el país de origen pueden visitar al paciente y hacerle sentir mejor acerca de su ser sin trabajo temporalmente. Estas son las propuestas de valor intangible que no se puede poner un precio, pero que pueden dar lugar a una recuperación más rápida y un empleado más feliz cuando lo hace volver al trabajo. Eso por sí solo vale la pena la inversión. Pero como para el empleador, si el costo de la cirugía y la factura total del hospital es miles de dólares menos en un centro médico del turismo extranjero de lo que pagarían en un hospital local, entonces el valor para el empleador es que él está ahorrando un mucho dinero, especialmente si la mayor parte de su fuerza de trabajo es latina. He hablado con varias personas acerca de esta idea, y, sin embargo, algunos de ellos no ven el valor en el ahorro de dinero en cirugías costosas. Sólo puedo suponer que les gusta pagar por la nariz para la cirugía en una rodilla, cadera, hombro o muñeca. O tal vez, sienten que está bien para un trabajador para ir al extranjero en virtud de salud de grupo (como una compañía en Carolina del Norte ha hecho), pero no en un borrador de los trabajadores. ¿Eso no golpear de sesgo de clase? He escrito mucho sobre el alto costo de sistema de compensación de nuestros trabajadores, sus fracasos y deficiencias, pero sin embargo, nadie está dispuesto a admitir a sí mismos, y mucho menos este escritor, que tal alternativa es realista. Para ser justos, he tenido algunas conversaciones con algunas personas que lo consiguen, pero por desgracia, no hay segundo partido dispuesto a explorar esto. A medida que la fuerza de trabajo se vuelve más latino, y como un borrador de trabajo está bajo asalto en muchos frentes, puede haber algunos empleadores, intermediarios, transportistas por ahí que lo escuche. Mientras tanto, voy a seguir escribiendo, a pesar de que me estoy haciendo nada para hacerlo. Prefiero ser ganar honorarios de consultoría o incluso un cheque de pago, pero hasta entonces, voy a seguir creyendo que el turismo médico no es sólo para la gente blanca con grandes bolsillos de seguros y profundos, o para grandes empresas con planes de salud de grupo, o para aquellos la búsqueda de la cirugía estética o plástica, etc., pero para todas las personas, ricos y pobres. This entry was posted in Cross-border Health Care, Cultural Barriers, Employees, Employers, Hispanics, Immigrant Workers, Latino, Medical Tourism, Medical Travel, Workers' Comp, Workers' Compensation and tagged Cross-Border Health Care, Employees, Employers, Hispanics, Immigrant Workers, Latino, Medical Tourism, Medical Travel, Workers' Comp, Workers' Compensation on May 13, 2015 by Transforming Workers' Comp. Want to Cut Your Litigation Costs and Lower Your Ex Mod? Now that this year’s RIMS conference is over, and while we are all waiting for NCCI’S Annual Issues Symposium where they will present this year’s “State of the Line Report”, I thought I’d discuss two conversations I had today and yesterday with two individuals in CA, both of whom work for an insurance services company. This company was mentioned in a video that was included in an article I wrote in December 2013. This video discussed how the company partnered with an insurance carrier to offer injured Mexican workers to get treatment in Mexico for injuries sustained on the job in CA. From my conversations with these two individuals, I learned that not only are the employers covered by this insurance carrier saving money on medical care by having workers get treated in Mexico, but that it is also having the effect of lowering the litigation costs, as well as lowering the ex mod rates, because of the lower severity of claims due to the lower cost of total medical care spend. With regard to lower litigation costs, one individual told me that 85% of all litigated cases in CA are from Latino workers. This is not due to their propensity to sue, but rather from the linguistic and cultural barriers they face working in Southern California. I’ve mentioned the absence of linguistic and cultural barriers before with regard to the advantages of medical travel in work comp, but now I have outside proof that these barriers are responsible for higher litigation rates and costs. On the other hand, having injured workers treated in Mexico at lower cost, and with better outcomes in facilities that are equal to or better than those across the border, especially the public facilities that may be impacted by budget cuts at the state level, and it is clear to see that employer severity (i.e., the overall cost of the claim) will have a tremendous effect on that employer’s ex mod. In a past life, I worked on WC Statistical Reporting, so I know how important severity and frequency is to an employer. Frequency is the purview of safety people; severity can be dealt with, in part, by seeking lower cost, higher quality care outside the US. This entry was posted in Cross-border Health Care, Cultural Barriers, Latino, Linguistic Barriers, Litigation Costs, Medical Tourism, Medical Travel, Mexico, Patient Outcomes, Quality, Severity, Surgery, Workers' Comp, Workers' Compensation and tagged Cross-Border Health Care, Cultural Barriers, Ex Mod, Linguistic Barriers, Litigation Costs, Medical Tourism, Medical Travel, Quality, Severity, Workers' Comp, Workers' Compensation on May 5, 2015 by Transforming Workers' Comp.